The on-campus information sessions are held every 1st Wednesday of the month from 4:30pm-6:00pm on the 9th floor of the Armour Academic Center. We have found that potential students find the on-campus information sessions a valuable way to connect and learn about to Rush University College of Nursing and Rush University Medical Center. 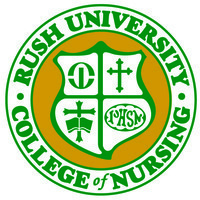 For questions regarding the information session or the various degrees offered at Rush University College of Nursing, please contact the Admissions Office at con_admissions@rush.edu.